​England manager Phil Neville is set to name his 23-player squad for the 2019 FIFA Women's World Cup in the coming weeks as the eagerly awaited tournament fast approaches. 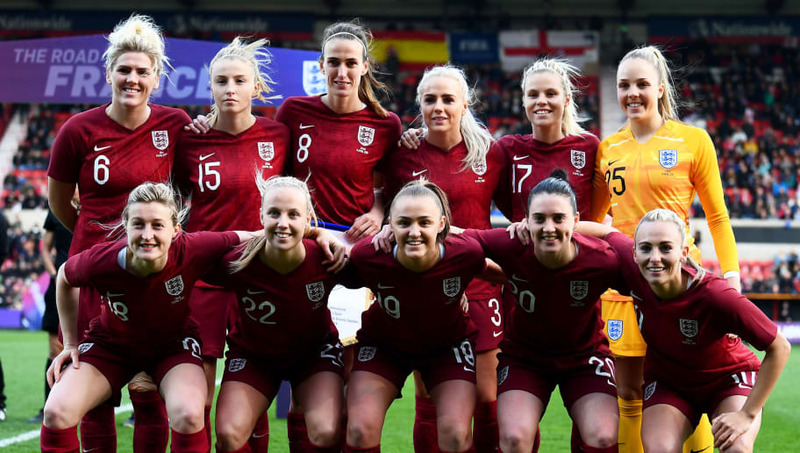 Ranked third in the world by FIFA and recent SheBelieves Cup champions, the Lionesses head to France as one of the favourites to lift the trophy. Here's a look at the 23 individuals who are likely to be in that final squad, as well a handful of players on the fringes who could still be in with a chance of making it. ​Karen Bardsley (Man City): England's number one goalkeeper at major tournaments since 2011 is assured of a place in the squad, although her role as a starter is under threat. Mary Earps (Wolfsburg) - The former WSL Team of the Year goalkeeper is likely to get the nod as number three ahead of less experienced teenager Ellie Roebuck. On Standby: Ellie Roebuck (Man City), Siobhan Chamberlain (Man Utd). Steph Houghton (Man City) - Minor recent injuries won't keep the captain out of action. She will be a leader in both penalty areas and is a serious goal threat. Millie Bright (Chelsea) - Back in the fold in April after missing the SheBelieves Cup through injury and could even start in the heart of defence alongside Houghton. Abbie McManus (Man City) - A key player at club level for Manchester City where she regularly partners Houghton. That familiarity could be crucial in the starter battle with Bright. Leah Williamson (Arsenal) - Set for a first major international tournament at senior level after being a regular feature of recent Lionesses squads. Will be a back-up player in France. Rachel Daly (Houston Dash) - Capable of playing virtually anywhere on the pitch, she will be an important squad asset, especially if Bronze moves into midfield again. Demi Stokes (Man City) - Has played 50 times for England since making her senior debut in 2014 and was a surprise omission from the World Cup squad last time around. On Standby: Gemma Bonner (Man City), Hannah Blundell (Chelsea). Karen Carney (Chelsea) - Made her tournament debut for England as a 17-year-old way back in 2005 and continues to be an important player for club and country. Jade Moore (Reading) - Forced to miss the SheBelieves Cup though injury but was back in the squad for the Canada and Spain friendlies, creating the opening goal in the latter. Jill Scott (Man City) - Not necessarily a regular starter for the Lionesses, the veteran has more experience than most but might be under pressure if Izzy Christiansen returns to fitness. Lucy Staniforth (Birmingham) - Deserving of a place, but another who may be under pressure if Christiansen can prove her fitness earlier than expected after undergoing ankle surgery. On Standby: Fara Williams (Reading), Izzy Christiansen (Lyon). Nikita Parris (Man City) - 18 WSL goals and counting this season would have been a new league record had it not been for the even more prolific Dutch star Vivianne Miedema. Ellen White (Birmingham) - Seemingly a firm favourite of Neville and a player who can always be relied on to give her all and perhaps score a crucial goal. Toni Duggan (Barcelona) - Set for a first international tournament since moving overseas to play club football for Barcelona. Arguably a more rounded player as a result. Jodie Taylor (Seattle Reign) - Set to turn 33 years of age next month but still a proven international player. Finished Euro 2017 as tournament top scorer with five goals. On Standby: Chioma Ubogagu (Orlando Pride), Lauren Hemp (Man City), Melissa Lawley (Man City). England will play two final warm up friendlies against Denmark (25 May) and New Zealand (1 June) - both games are to be broadcast live on BBC television - before kicking off their World Cup campaign for real against neighbours Scotland in Nice on 9 June.